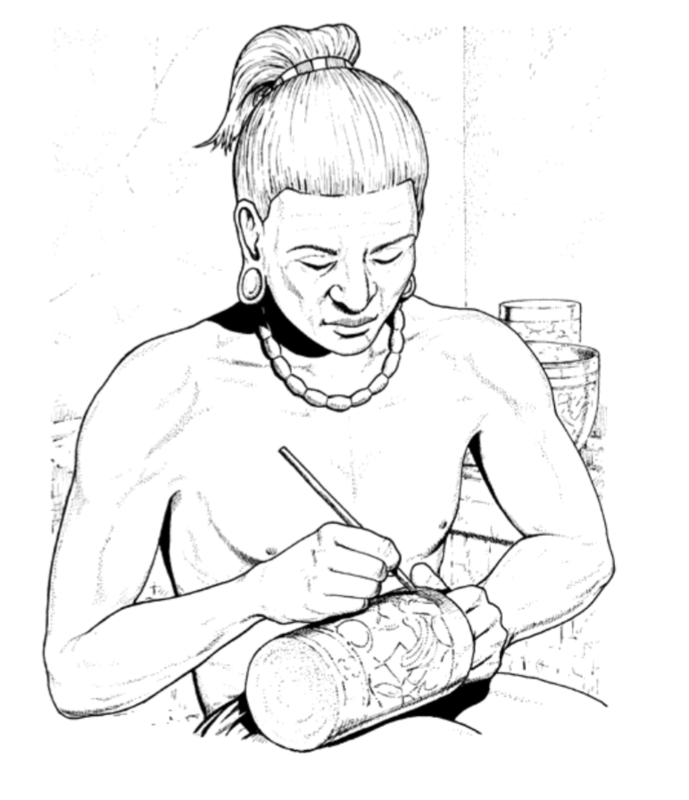 Have students try these activities to expand their knowledge and interest in the Maya. To familiarize students with where the Maya lived, have them first locate Central America on a map or globe. Then have them locate Mexico, Guatemala, Honduras, Belize, the Yucatán peninsula, and the Gulf of Mexico. Provide students with blank maps of Central America or have them draw their own maps. Students can then fill in the names of all the countries, their capitals, mountain ranges, major rivers, and the bodies of water surrounding Central America. Each student should then select one country in Central America and research the current population, crops, important products exported, and so on. Have students try their hand at creating hieroglyphs of their own. To start, they should study the hieroglyphs shown in Math, Science, Writing and Art and in Uncovering the Secrets of the Maya. Students can then give themselves appropriate Maya-like nicknames that can be shown in picture form, such as Jeweled Skull or Jaguar. They can draw the hieroglyphic and show the class, explaining why they selected their nickname. Students should then use pictures to make a sentence and create a key showing what each hieroglyph means. Have students trade papers and keys and try to decipher the sentences. Have students use the information in Math, Science, Writing and Art to learn how the Maya wrote large numbers. After writing a few practice numbers as a class, give students a large number, such as 2,798, and ask each student to try to write it the Maya way. Have students compare what they wrote. Then write a number using the Maya method and challenge students to determine what the number is. Encourage students to challenge each other with similar problems. Rigoberta Menchú won the Nobel Peace Prize in 1992. Have students develop questions they want to know about the Nobel Peace Prize. List the questions on the board. For example, students may want to know what the prize is for, when it was first awarded, who awards the prize, who has received the award and why, and what the actual prize looks like. Then students can research the answers. Ask students to discuss some current people who they feel deserve the award.